Gary Natoli, the veteran Oscars stage manager who was in the midst of the chaos on Sunday night when “La La Land” was mistakenly announced as Best Picture, told TheWrap on Wednesday that the two PwC accountants entrusted with the envelopes “froze” when things went wrong. 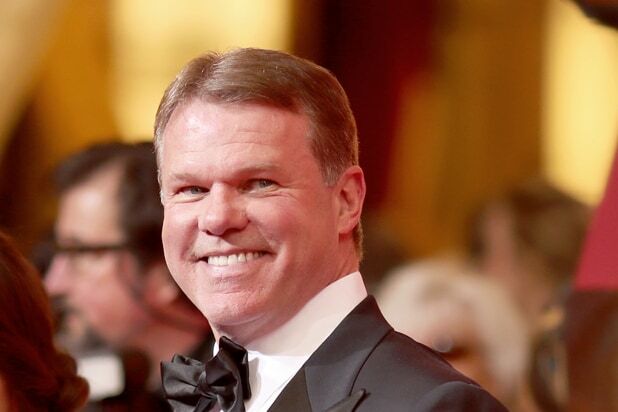 Making matters worse, Natoli said that he and stage manager John Esposito, who stood in the stage-right wings next to PwC partner Brian Cullinan, had a conversation with Cullinan the day before the Oscars about the protocol if an incorrect winner is announced. Natoli was the lead stage manager on the 2017 Oscars show, and spent most of his time stationed in the stage-left wings with host Jimmy Kimmel. PwC had one of its balloting leaders in each wing: Cullinan stage right, where most of the presenter entrances came from, and Martha Ruiz stage left, which saw less traffic. Natoli and Kimmel walked directly past Ruiz to get to the hallway that leads into the Dolby Theatre lobby, and then went into the audience where Kimmel had planned to close the show with a quick comedy bit involving Matt Damon. Natoli had to tell Damon’s wife about the bit so that she could give up her seat to the host, so they waited until “La La Land” producer Jordan Horowitz began giving his acceptance speech before making the seating change. He found that Horowitz had the Best Actress envelope instead of the Best Picture envelope, and then located the correct one, which had finally been given to Beatty. “I said, ‘We have to announce that ‘Moonlight’ is the winner,'” he said. Jordan Horowitz did that more than two minutes after the error had first been made. “I still do not understand the delay,” Natoli told TheWrap. “Brian should have run out there on his own. Martha should have run out there. In fact, he added, the stage crew’s complaints had led to a change in the inserts that went inside the envelopes, which originally had print that was far too small. But they couldn’t do anything about the envelopes themselves, on which the name of the category was not nearly as legible as it had been in previous years. But Natoli remains bothered that the fiasco has overshadowed an Oscars show that most of the crew thought was good.